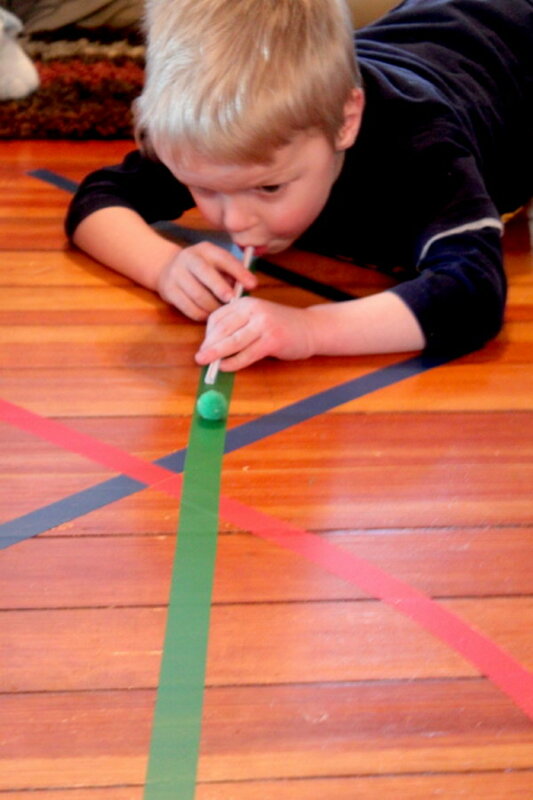 Preschoolers love games and they have a growing interest in playing games with simple rules. 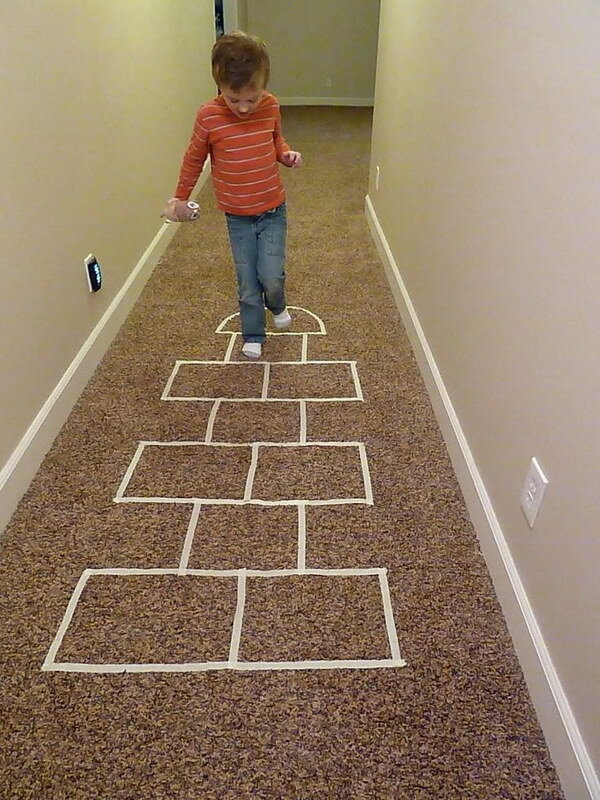 When the weather is keeping your preschooler from playing outdoors, try one of these great indoor games to keep him happy and active —no TV or video games required! 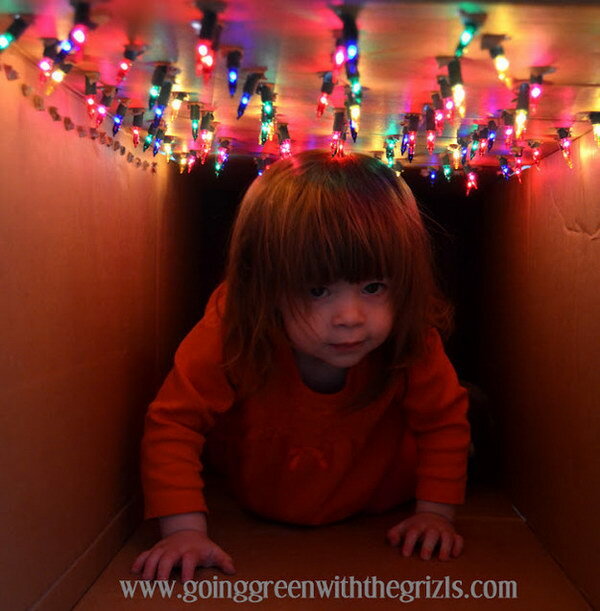 These indoor activities for preschoolers include Paper Plates Ring Toss, Candy Cane Fishing, Lighted Tunnel Made out of a Cardboard Box and other games. They are both interesting and good for their development. 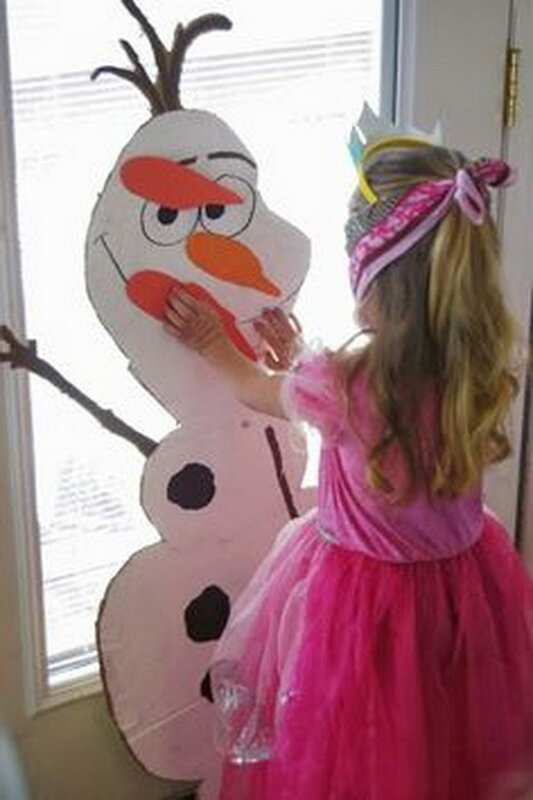 This winter game is easy to make and providing hours of fun for kids. Get the tutorial via thestylesisters. 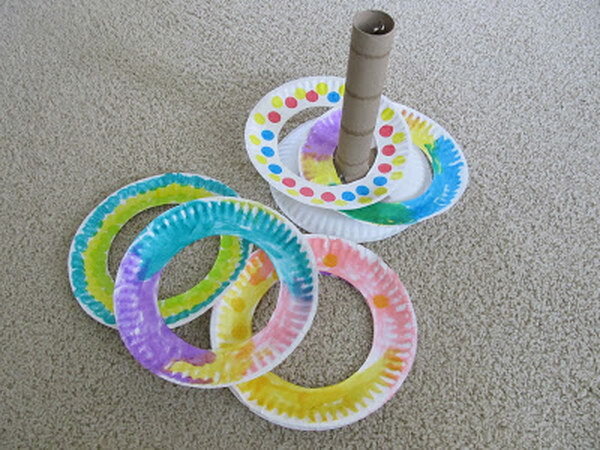 Cut out the centre from some paper plates to use as your ‘rings’ and let your kids paint them colorful. 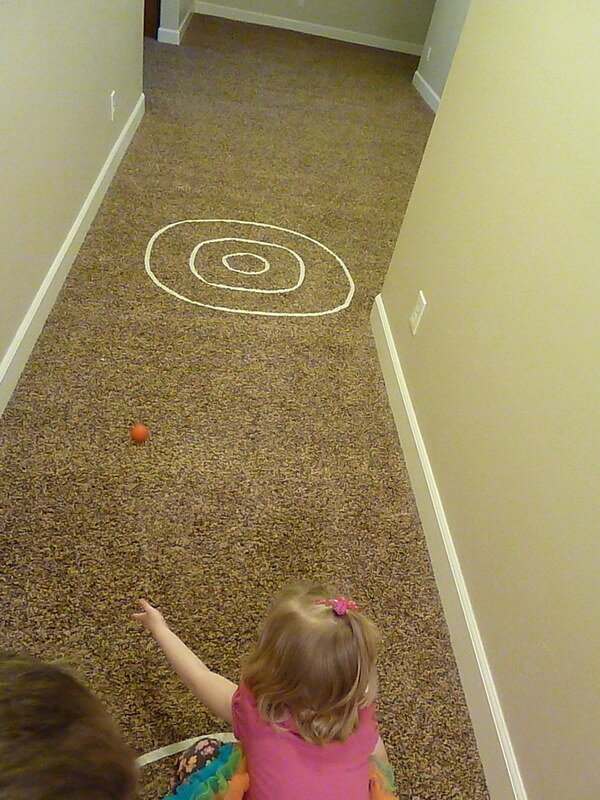 With some cardboard tubes used as the stand, the kids would be playing the ring toss game for a long time. 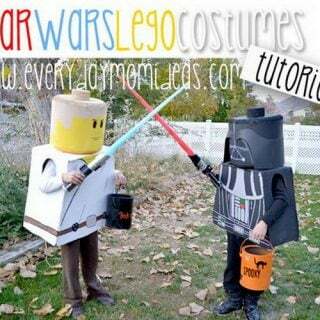 Get the tutorial via harttoharttotschool. Decorate six white cups using black and orange craft foam. 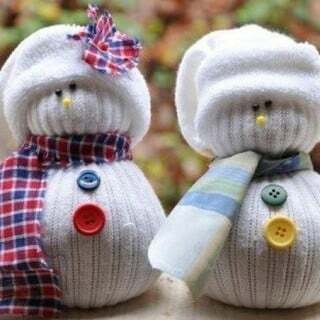 Make the snowballs with white socks. 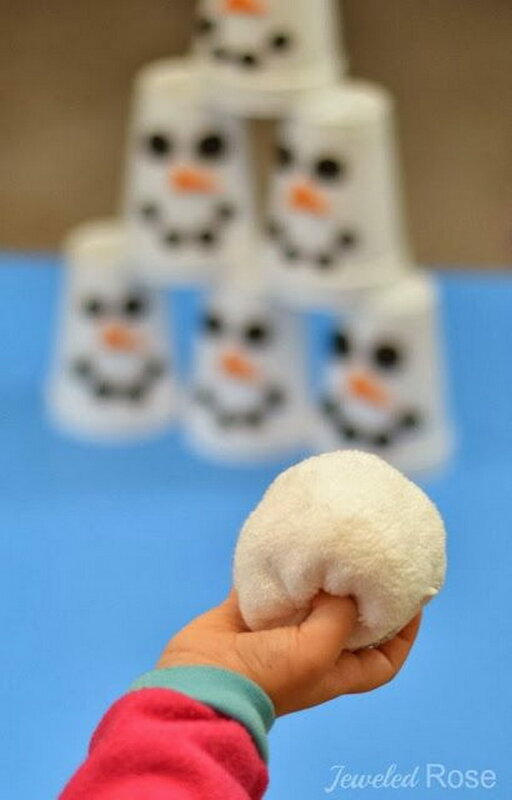 Then the kids can play “Snowman Slam”. Get the tutorial via growingajeweledrose. 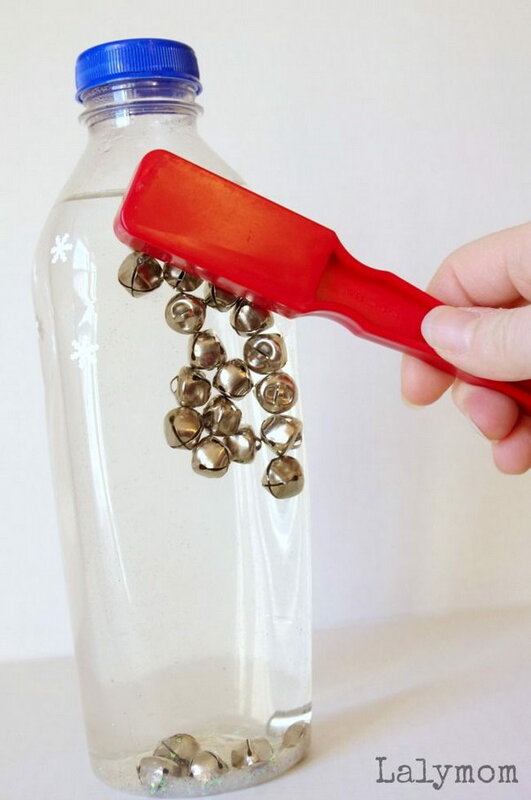 The jingle bells pair great with magnets and lids for some fine motor themed fun! 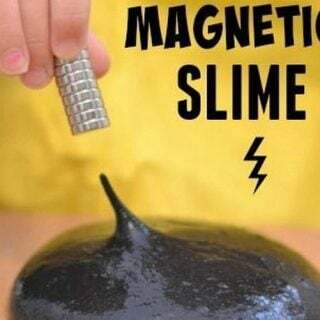 And it makes great holiday gift for kids. 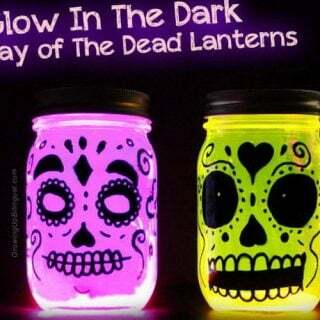 Get the tutorial via lalymom. 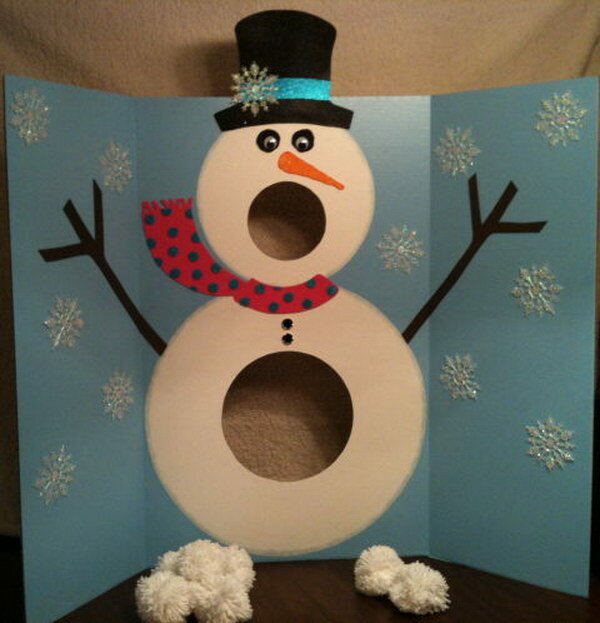 Make a cute snowman with a three-sided poster display board and paint. Then cut out two circles(one ine the belly, one as the mouth. 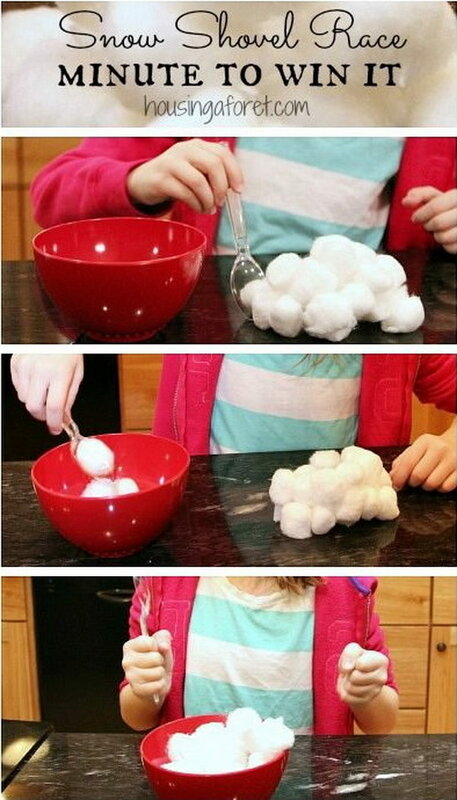 And you can have the kids pop snowballs into while counting. Get the tutorial via intheleafytreetopsthebirdssing. 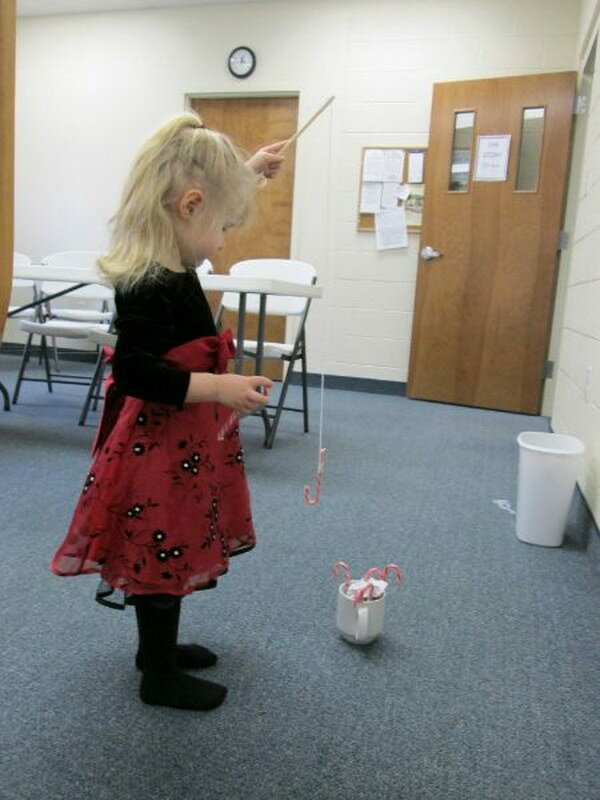 Based upon a “Minute to Win It” game, the kid should try to fish 5 candy canes out of a basket using a candy cane fishing pole. Get the tutorial via 3boysandadog. Attach bells to the obstacles. 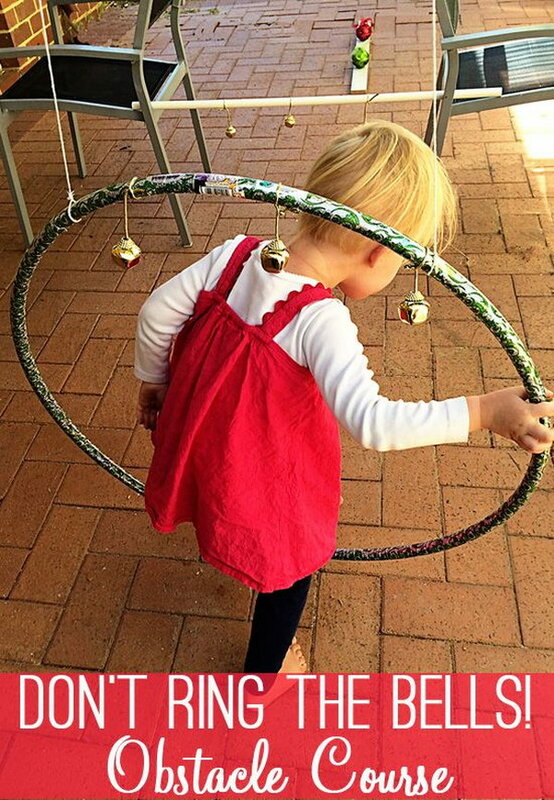 Your kids should traverse the course without ringing the bells. What a fabulous obstacle course and listening game! 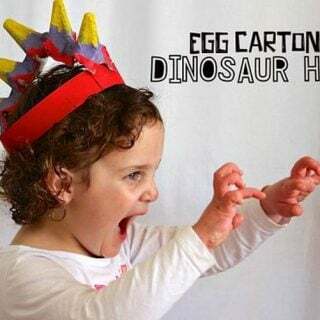 Get the tutorial via childhood101. See how much snow can you shovel in just one minute. Get the tutorial via housingaforest. Get more instructions via whattoexpect. Get the tutorial via b-inspiredmama. 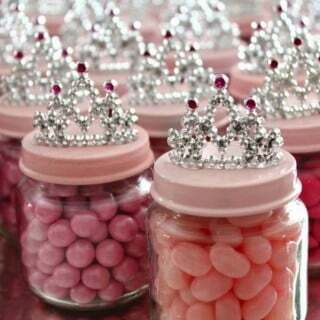 keep little boys busy with this idea. 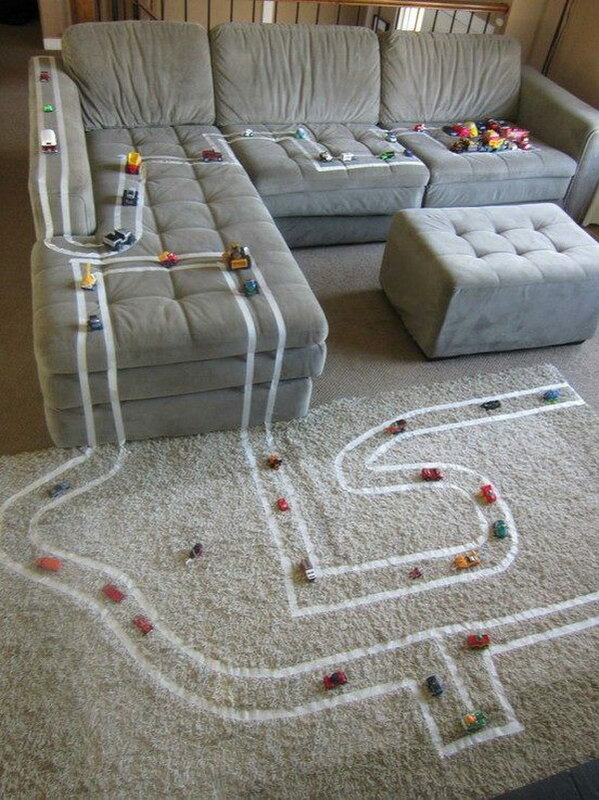 Buy some masking tape at the dollar store and let your kids go crazy “drawing” a track for their cars all over your house. See more via huffingtonpost. Get the tutorial via homespunaesthetic. These are great for the winter days where the weather doesn’t work out as planned. 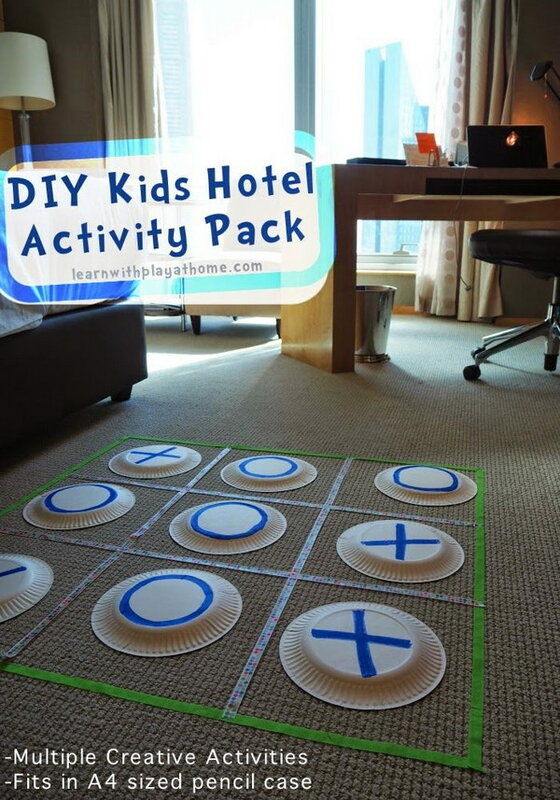 Get the tutorial via learnwithplayathome. 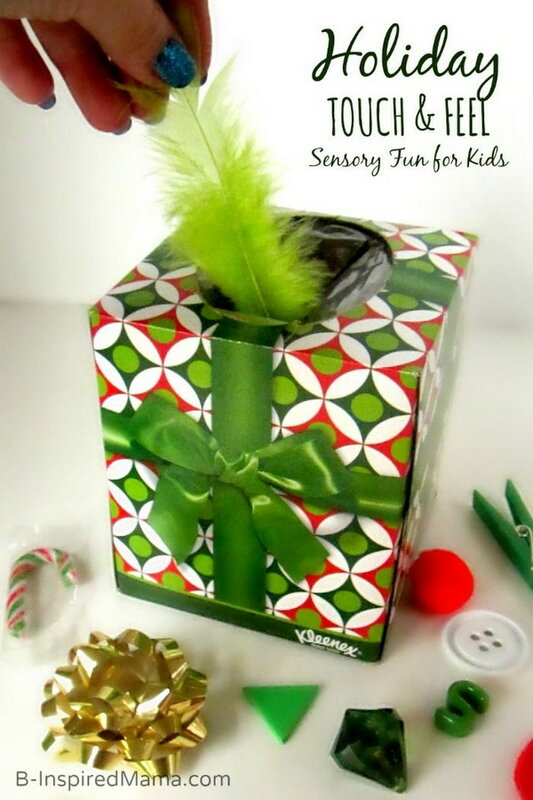 Get more instructions via savvysassymoms. 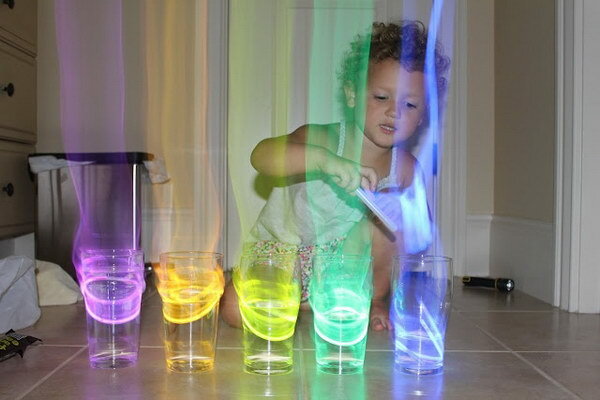 The mom put some glowsticks in glasses of water and let the kid play, and when she took the picture, she found the camera had done this! Get the tutorial via playathomemom3. 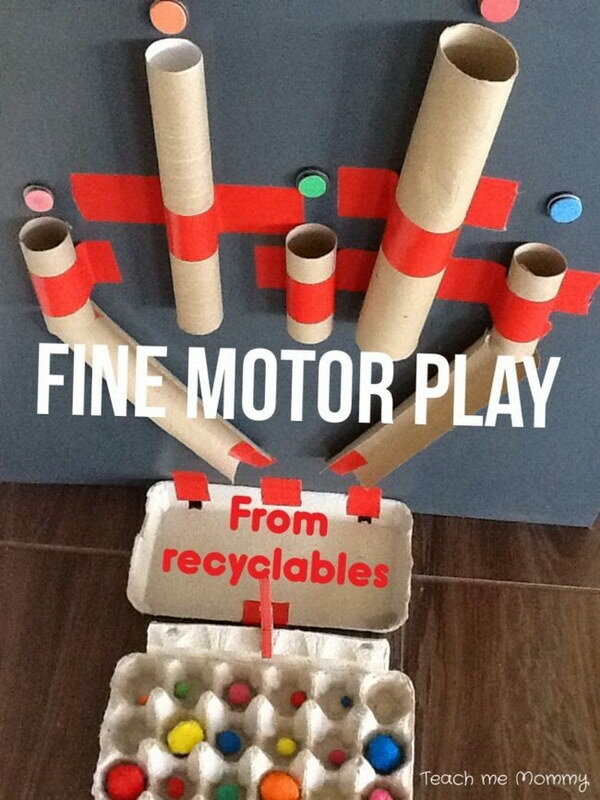 Use toilet paper rolls, pom poms, egg cartons and tape to create this game for your little ones to keep them busy at home. Get the tutorial via teach-me-mommy. 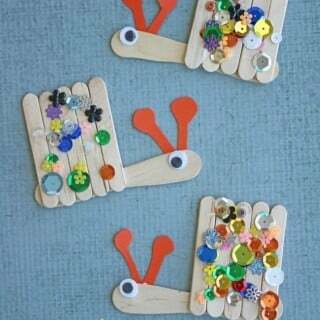 Get the tutorial via handsonaswegrow. 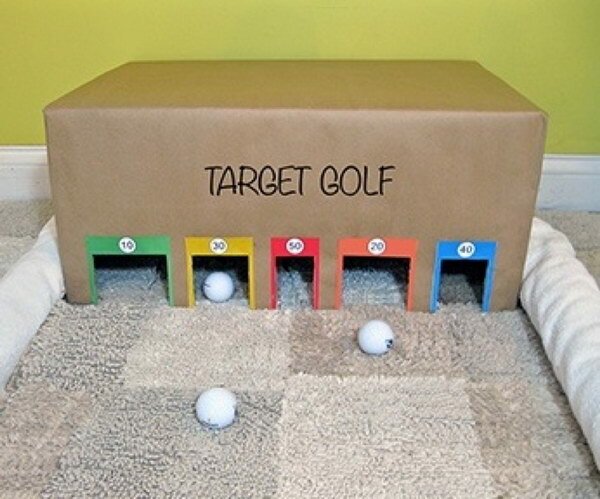 Use cardboard boxes to make this target golf creative indoor game for a cold winter day. Via princesspinkygirl. 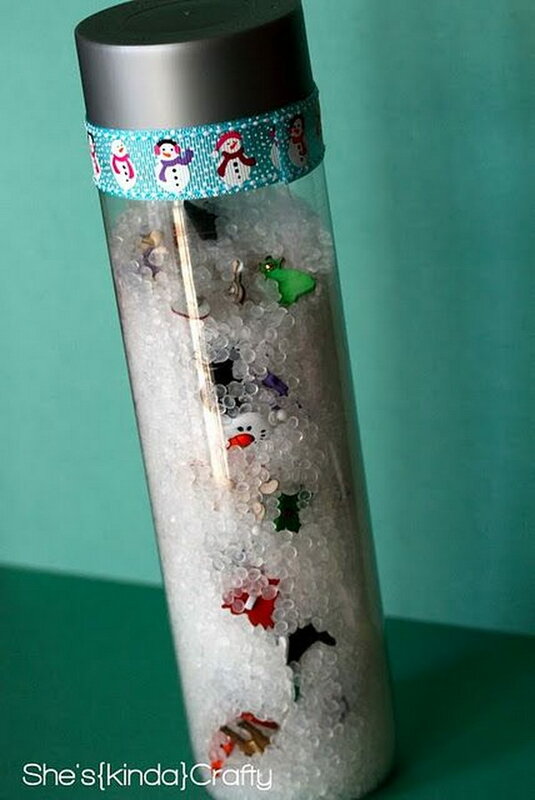 Make an “I Spy” bottle to entertain yout little one and keep them busy for a while! 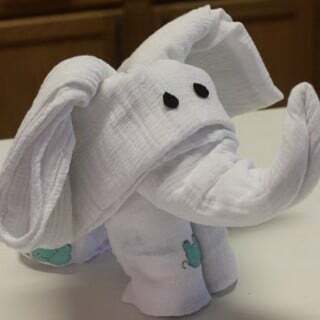 And it’s super simple to make! 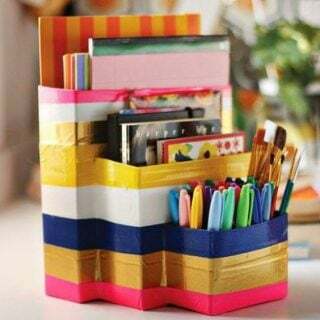 Get the instructions via mpmschoolsupplies.